What lost wage benefits are you entitled to if you’re hurt on the job? In my last blog post, I discussed recent developments in the workers’ compensation law in the District of Columbia with regard to injured workers being paid based upon wages lost at one or more jobs as a result of a work injury. This is referred to as “wage stacking.” Let’s now delve a little more deeply into how lost wages are calculated and how injured workers are paid when they are recovering from and living with their injuries. To briefly refresh, I believe that one of the most important benefits, aside from medical care and treatment designed to get you better and back to work, are the wage replacement benefits you are entitled to receive while you recover from your injuries and are unable to work. These are known as temporary total disability benefits. In the District of Columbia, where I focus the majority of my practice, injured workers are entitled to “stack” their wages for purposes of the calculation of workers’ compensation benefits. This means that injured workers who are working at two or more jobs at the time of their injury are entitled to be paid based upon lost wages from both jobs. The law makes no distinction in terms of how much injured workers are entitled to be paid depending on which of their two jobs they were performing when injured. In other words, even if someone is injured while working at a job that pays $100.00 per week, and the injury prevents them from also working at their job that pays you $1,000.00 per week, they can still “stack” their wages. Unfortunately, this is a key area of the law where Maryland and Virginia are lacking. In Maryland, injured workers cannot stack their wages at all. So, if someone is injured while working at their part-time job and misses time from a much more lucrative full-time job, the state of Maryland has determined that they are out of luck and just have to deal with the very limited income replacement benefits. Virginia has essentially a “middle ground” law between D.C. and Maryland. In Virginia, injured workers can only stack their wages if their second job is similar to the job at which they are injured. This, of course, can lead to disastrous outcomes such as being unable to feed their family, being evicted or foreclosed upon, or any other of the other travesties detailed in a 2015 article by National Public Radio. How are Temporary Total Disability Benefits Calculated? In all three jurisdictions, temporary total disability benefits are paid at 2/3 of an injured worker’s average weekly wage (the resulting amount of the payment is referred to as a “compensation rate”). Although the average weekly wage has been calculated using gross (pre-tax) wages, and although the compensation rate is not taxed, this still usually leaves injured workers in the hole while they are out of work and recovering from their injuries. I say this because 66 2/3% of your gross wages is generally less than the amount of take-home wages even if a person is taxed by the federal government, state and local governments, and makes some contribution for health insurance. Insurance companies and the drafters of the workers’ compensation laws would have us believe that this should somehow “incentivize” injured workers to want to return to work as quickly as possible, but I have only ever seen it have negative consequences when my clients have attempted to return to work earlier than their doctors would permit only because they need to earn more money to keep up with their financial obligations. In short, I think it is a travesty of justice to only pay injured workers 2/3 of their gross wages. This figure should be closer to, if not in excess of, 73% in our region based upon the average percentage of income paid as federal tax (21%) and the average state and local taxes paid by residents of Virginia and Maryland (5.63% and 6% respectively). Generally speaking, an injured worker’s average weekly wage is calculated based upon his or her gross earnings within a set timeframe immediately preceding the work injury. A major difference in the three jurisdictions, however, is the number of weeks that are factored into the calculation of an injured worker’s average weekly wage. Virginia allows for the calculation of average weekly wage based upon the earnings in the entire year prior to the work injury; the District of Columbia allows for the calculation to be based upon the half year prior; and Maryland allows for the calculation to be based upon the 14 weeks prior to the work injury. As always, however, there are numerous exceptions to every rule. For example, many people work in seasonal employment. This can include those who work in retail during the holiday season, those who work in landscaping or other outdoor service jobs, employees at the major sports arenas and stadiums in the area, and even teachers who choose to get paid on a nine month cycle as opposed to a 12 month cycle. In these situations, the injured employees are not prejudiced by the fact that they did not have steady earnings during the entirety of the time period generally used for calculation of their average weekly wage. Similarly, if an injured worker had recently returned to work from a prior injury or had recently started working at the job, then only the wages as of the date of return to work or the beginning of employment will be considered. It is also long-settled law that weeks in which the injured worker did not work will be excluded from the calculation. See United Parcel Service v. D.C. Department of Employment Services, 834 A.2d 868 (D.C. 2003). The same principle would, of course, apply to any vacations taken during the relevant time period. Perhaps the most interesting aspect of the average weekly wage calculation, at least to me, is what is included in the definition of “wages.” I have seen this arise in my practice in multiple, very interesting instances. For better or for worse, the District of Columbia has determined that, in certain instances, not all employee benefits are considered to be wages. I represented a union member who was paid, under his union’s collective-bargaining agreement, both regular hourly wages as well as employer-paid contributions into his retirement plan and health savings account. All of these things were paid for out of the same chunk of money (and I liken this to a non-union employee paying a portion of their wages into a 401(k)), but the District of Columbia courts determined that only the money paid as actual wages to my client would get included in the calculation. Unfortunately, this area of the law is pretty well settled under both the District of Columbia Workers’ Compensation Act as well as its predecessor (which also happens to be one of the federal workers’ compensation laws), the Longshore and Harbor Workers’ Compensation Act. Other injured workers who I routinely see fall victim to the District of Columbia law regarding the definition of wages are those who work in employment where they are paid both wages and tips (generally, these people are waiters or waitresses). The D.C. workers’ compensation law only allows for the inclusion of tips only if they have been declared for tax purposes. D.C. Code § 32-1511(b). Unfortunately, as most of you who have worked in the service industry will know, this is rarely done, or people generally under value the amount of compensation they are paid in tips. This can lead to financially ruinous results when one of these employees is injured on the job and only paid based upon his or her less-than-minimum-wage hourly wages and not the tips that form the bulk of that person’s take-home pay. One other interesting aspect of the law regarding the calculation of average weekly wages comes from the same subsection as the language regarding the inclusion or exclusion of tips. That subsection also allows for the inclusion of the “reasonable value for board and lodging received from the employer.” D.C. Code § 32-1511(b). Maryland is actually a bit broader and allows for the inclusion of “ the reasonable value of housing, lodging, meals, rent, and other similar advantages that the covered employee received from the employer.” Md. Code, Lab. & Empl. Section 9-602(a)(2)(ii). This section of the law generally applies to those people who live at their place of employment. For example, I have seen this play out for domestic workers, such as butlers and chefs, as well as farmhands working on the chicken farms on the Eastern Shore of Maryland. Although it may seem a little bit strange to include these types of things with in the definition of wages, it makes sense when looked at through the lens of the benefit to the employer: in all of these situations, the employer is deriving a benefit from having its employees housed either on its premises or in very close proximity thereto. In return, when an employee in this type of employment is injured, the law recognizes that the employee is then entitled to transference of the benefit that their employer was getting in the form of it being included in their weekly workers’ compensation checks. The lesson to be learned from all of this is this: Your “wages” when you are injured at work may not always just include what you take home from the specific job in which you were working at the time of the injury. It is important to hire an attorney who is experienced in workers’ compensation and who can properly advise you and advocate on your behalf to ensure that you are not suffering from a substantial loss of income during a very difficult time in your life. If you read my first blog, you will recall that two things I am very fond of are pop culture and stories. One of my favorite all-time pop culture phenomena is the acclaimed HBO original series, The Sopranos. I think I have watched the series in its entirety at least three or four times. Anyone who is familiar with the series knows, Tony Soprano, the anti-hero lead character and mob boss extraordinaire spends a lot of time in therapy session with his psychiatrist following panic attacks and bouts of anxiety. No doubt, those symptoms are related, at least in part, to his Tony’s work as a career criminal, but that’s not why I bring up the reference. Tony Soprano: Let me tell ya something. Nowadays, everybody’s gotta go to shrinks, and counselors, and go on “Sally Jessy Raphael” and talk about their problems. What happened to Gary Cooper? The strong, silent type. That was an American. He wasn’t in touch with his feelings. He just did what he had to do. See, what they didn’t know was once they got Gary Cooper in touch with his feelings that they wouldn’t be able to shut him up! And then it’s dysfunction this, and dysfunction that, and dysfunction vaffancul! The Sopranos Pilot (season 1, episode 1). You may find yourself asking how does this reference apply at all to communicating with your medical provider in a workers’ compensation setting? The answer is quite simple, do not be Gary Cooper, John Wayne, or Tony Soprano when visiting with your doctor after a work injury. Put another way, to be the strong and silent type could be the kiss of death when it comes to making sure all of your rights are protected, including your entitlement to causally related medical care and treatment and money benefits. In my first blog post I stressed the importance of telling the truth after a work injury and how that honesty has two components, one obvious, and one less so. I want to focus on this honesty and truthfulness in the context of communicating with the doctor. The obvious component is to not lie or make anything up. I’m less concerned about the obvious element. It’s easy, it speaks for itself, and frankly, I do not want to represent anyone in a legal matter that is not an honest and credible person. I’m more interested in the less obvious component, the “do not hold anything back” side of telling the truth. I always tell clients at our very first meeting that the doctor is not a mind reader and is only going to address the complaints that the patient makes when taking a history. Not holding anything back means paying attention to your body and documenting all symptoms and complaints, in all affected body parts following a work injury. In this scenario, all means all, including all symptoms and complaints whether they are a direct result or a consequence of the work injury. Telling the doctor all of your symptoms and complaints, means telling every doctor you see, whether your treating doctor, or the doctor the insurance company sends you to for an evaluation, all of the symptoms and complaints and when you experience them. I tell clients all the time, you need to make sure the doctor understands what you feel and go through on your worst day, not your best day. Sometimes symptoms can wax and wane, but the bottom-line is that an injured worker is not seeking treatment for how they feel on their best day, its about how they feel at their worst. This allows the doctor to get an accurate picture of the condition or conditions the injured person is experiencing and develop a treatment plan to get the person feeling better. That’s the ultimate goal after all! A consequential injury is an injury or medical condition sustained as a result of an employment related injury or illness. Often times, when a person has an injury on one side of their body, like knee or ankle injury, or a shoulder or elbow injury, they overcompensate for the loss of use the injured side of their body and put more stress, wear and tear on the opposite, non-injured side. Consequential injuries can develop due to this overcompensation. It’s very important to not go all Gary Cooper or Tony Soprano when this situation occurs. I urge clients to make these complaints to the doctor immediately when they begin to have these problems. I also ask clients to make certain their doctor is actually documenting the complaints in the medical reports and making treatment recommendations based on the complaints. This is especially important in the workers’ compensation setting because the insurance company may choose to deny authorization to treatment for consequential injuries, so the sooner the complaints are documented by the treating physician, the easier it tends to be for consequential injuries it is to be accepted. Whether that’s on a voluntary basis by the insurance carrier, or through the worker’s compensation court system. Sometimes folks who experience severe injuries to their bodies also strike or injure their head as a result of the work accident. Unfortunately, these conditions can go unnoticed or undiagnosed at first, especially if there is the need for emergency triage or treatment for a bodily injury immediately after the incident. Injured workers find themselves experiencing post-concussion symptoms, or neurological problems as they seek treatment with their primary care physician or an orthopedic specialist following the injury. The rule against being the strong silent type applies in this situation as well. If you find yourself if this predicament it is very important to make all of these symptoms and complaints related to a head injury to your doctor so that he or she documents them in the reports and provides a referral to a neurologist or other specialist with the skills to treat the specific problem. The same rationale as outlined above in consequential injuries about getting approval for the requested consult and treatment from the insurance company or through the court system. A life changing work injury can impact a person’s life many ways, including leading to feelings of anxiety, mental anguish, and depression. These conditions are compensable and if you experiencing psychological complications following a workplace injury you have the ability to seek treatment at the expense of the workers’ compensation insurance carrier. If you find yourself in this situation, do not hold anything back, make the complaints to your treating physician, get a referral for a psychological consultation, get it submitted to the insurance carrier for approval and get yourself into treatment and on the road to feeling better. In response to Tony Soprano’s question, about whatever happened to Gary Cooper? The strong silent type. My hope is that by properly educating injured workers about their rights and how to communicate with their doctors as a means to protect those rights we can eradicate the strong silent type mentality from the culture of workers’ compensation. In doing so, it should help the injured worker get faster access to reasonable, necessary, and causally related medical treatment for any and all condition related to their work injury and make it harder for the insurance companies to deny honest hard working people access such treatment. Thousands of men and women are injured at work every day. Different state and federal laws can apply to the rights of these injured workers depending on several factors. Factors that determine which set of laws applies to a work injury include the place of injury, the location of the employer, the nature of the work, where the contract for employment was made and what government entity has an interest in protecting the health and sustainability of a particular work force. The overarching purpose of each state or government having workers’ compensation laws should be the same (See this post). However, there can be major differences in each state’s laws. This is because each state is sovereign, meaning it has its own laws that apply within its borders, and there can be significant differences in the laws as they apply to each work injury depending on how the legislature writes the laws. There are some groups of workers who fall under the jurisdiction of federal laws, the Longshore and Harbor Workers’ Compensation Act, where the United States has a specific, Constitution-based interest in protecting the class of workers. No matter what state or country the worker is from, workers covered under the Longshore and Harbor Workers’ Compensation Act are entitled to uniformly applied federal law under the oversight of the United States Department of Labor. Explosions, fires, equipment failures, falls and other mental and physical traumas are just a few common accidents that cause serious injuries on the job. Even the most minor injury suffered on the water or on a military base can quickly lead to a devastating and lasting condition. Many times, these conditions are not covered by state workers’ compensation laws. Sometimes, such injuries can be covered under state law as well as under federal law. If you are injured in a work accident, how do you know where to file your claim and what jurisdiction’s laws best support your family and protect your family’s future? This blog will teach you basic procedures of some federal workers’ compensation claims and will advise individuals navigating their rights to seek an attorney who will help best protect an injured workers’ rights no matter what law applies to their case. What laws protect longshore and maritime workers? The Jones Act ­– Protects workers injured on ships or vessels due to the negligence of a ship owner, captain or fellow employee. Under the law, injured workers can recover medical care and cost of living expenses. The Longshore and Harbor Workers’ Compensation Act – Protects land-based maritime workers, such as vessel repairmen or cargo loaders, who suffer injuries or illnesses related to their work. The Longshore and Harbor Workers’ Compensation Act will cover workers injured while loading, unloading, repairing or making maritime vessels. The United States government has a basis in the Constitution to oversee admiralty injuries and to uniformly protect the work force that is so important to the national economy through commerce and defense. See United States Constitution, Article III, Section2 and Article 1, Section 8. The Longshore and Harbor Workers’ Compensation Act provides compensation for medical care and wage loss/disability benefits. The Defense Base Act – Provides protection to employees working outside the United States on United States military bases or under a contract with the United States government for public works or for national defense. Examples of such workers are linguists, security/police forces, cultural advisors, translators, construction workers, truck drivers, engineers, and project managers. The United States government has an interest in protecting this unique work force who are protecting the interests of the United States overseas. The Defense Base Act is an extension of the Longshore and Harbor Workers’ Compensation Act and applies the same provisions to the workers it protects. The Defense Base Act provides compensation for medical care and wage loss/disability benefits. The Non-Appropriated Funds and Instrumentalities Act – Protects civilian employees providing services to the U.S. Armed Forces, including those who work for Army and Air Force Exchange Services, Army and Air Force Motion Picture Services, on-shore Navy Ship Stores, Navy Exchanges, Marine Corps Exchanges, Coast Guard Exchanges and other agencies of the United States under the jurisdiction of the Armed Forces conducted for the comfort, pleasure, contentment and mental and physical improvement of personnel of the Armed Forces. See https://www.dol.gov/owcp/dlhwc/nfia.htm. The Non-Appropriated Funds and Instrumentalities Act is an extension of the Longshore and Harbor Workers’ Compensation Act and applies the same provisions to the workers it protects. The Non-Appropriated Funds and Instrumentalities Act provides compensation for medical care and wage/loss disability benefits. Is there a time restriction for making a claim? Yes. In general, the time you have to file a legal claim after a work injury is limited. You must notify your employer of the work injury as soon as possible, preferably in writing, after a work injury. The time for filing an actual claim within the jurisdiction under which an injury is covered is limited. Also known as the statute of limitations, the time limitation to file a claim can be as short as one to three years from the date of injury. Specifically, under the Longshore and Harbor Workers’ Compensation Act and the extensions of the Act described above, the time for filing a claim is within one year after sustaining a work injury or from the last day of payment of benefits, whichever is later. This statute can vary depending on the nature of your case. If you wait to file a legal claim until the statute of limitations has expired, you may lose your rights to compensation. That’s why it’s important to seek legal help as soon as you can after a work injury. An attorney at ChasenBoscolo is ready to help you protect your rights and meet any time requirements for making a claim under the laws of whatever jurisdiction best protects your rights. Without the help of an experienced attorney, you may not receive the full amount of compensation you are entitled to under the law. Insurance companies may think they can take advantage of you and offer you less money than you deserve for your injuries and lost wages. Insurance companies try to save money by steering an injured worked toward a jurisdiction with less injured worker protections. This is wrong. An experienced attorney knows how to preserve your claim for workers’ compensation benefits in a timely manner in the jurisdictions that cover your claim, and they can pursue your claim under the laws most favorable to sustaining and protecting your and your family’s present and future. Like much of life, the answers to these questions usually are not crystal clear. An attorney at ChasenBoscolo is ready to help. We will take the time to talk with you about your goals, find out how we may be able to fight for you and put your best interests first in determining how to advance your case. Whether you were injured on an unseaworthy vessel or while loading cargo onshore, if you are a seaman, longshoreman, harbor worker or military contractor and were injured on the job or due to someone else’s negligence, you will benefit from experienced legal help. How does a trial lawyer who understands concussions, head injuries and traumatic brain injuries take care of people who are hurt in car wrecks, falls or sports? Questions about how brain injuries cause these kind of symptoms are answered in this blog. If you remember one thing, choosing to have your case handled from the beginning by an experienced trial lawyer who understands representing injury victims with head injuries increases your chance of getting justice. A soccer player reached out to CHASENBOSCOLO to help him deal with the complications of a concussion that occurred as a result of playing soccer. As a result of the player’s choice to hire an experienced trial lawyer who understands traumatic brain injuries, he received almost three quarters of a million dollars in benefits. More importantly, the player will receive all of the medical care he needs for his traumatic brain injury for the rest of his life. Some people think a brain injury to a professional soccer player does not have much to do with the problems they experience from a concussion in a motor vehicle collision or a fall. Hearing the player’s story will help anyone who has a head injury understand: (1) the symptoms they can have; and (2) how the insurance company will behave. Our client suffered a concussion when he was elbowed in the head. After the hit, our client experienced immediate symptoms included a loss of consciousness, dizziness and confusion. Over the course of the next two days he was dazed, confused and struggling to participate in the daily activities of life. However, like many folks who suffer traumatic brain injuries, he was in denial. Having grown up in a sports culture that encouraged him to “shake off” minor injuries like hitting his head, he did not think these symptoms prevented him from playing. More importantly, as a person who did not let anything stop him from accomplishing his goals, he was committed to not missing any games. The player was cleared by the team’s orthopedic surgeon, not a doctor who generally takes care of head injuries, to return to play. Based on his desire to play soccer and the opinion of the doctor, the player chose to play in another game two days later. He will regret this decision for the rest of his life. He started the game despite having ongoing symptoms of the concussion two days earlier. During the game, he was hit in the head for a second time. This hit caused a dramatic worsening of his post-concussion symptoms. Since suffering that concussion, our client never regained full brain function. For about a year, his employer gave him a front office job that simply required him to sit at a desk, use the computer and telephone and talk to people. Even these simple job duties proved to be too great for him. This former elite athlete was not able to answer the phone or use a computer due to the symptoms of his brain injury. As a result of these back-to-back concussions, the player is now unable to work in any meaningful way. While he can function as a husband and father for a few hours each day, these back-to-back concussions prevent this former professional athlete from engaging in the simple activities of daily living for more than a few hours at a time. He is now forced to spend most of his time in his home without much noise or light in an effort to prevent the worsening of his post-concussive symptoms. The player’s health was gone and his ability to care for his family was in danger. He asked us to protect his family. We decided that the best way to do this was to file a workers’ compensation claim. When we did, his former team denied that he had any ongoing symptoms as a result of the concussions he suffered. The claim was contested from beginning to end. The club contended that the player did not have a traumatic brain injury. The club accused him of exaggeration. The club said he was doing this just to get money. Since there is no test that can prove a person has a traumatic brain injury, the club used that fact to support its argument. We presented his case to an Administrative Law Judge. To overcome the fact that there were no tests prove there is a brain injury, we presented the testimony of two neurologists and a neuropsychologist who had cared for the player. While the Judge was considering the case, the club agreed to a settlement that will allow the player to protect himself and his family. The player’s medical expenses, which to date exceed $100,000.00, have all be paid by the workers compensation insurance company. The club will continue to pay for the medical care he needs for the rest of his life. Finally, as a result of our efforts, our client received in excess of $600,000 to make up the wages he lost as a result of the end of his career. If you suffer a concussion in a motor vehicle collision, you should talk with a trial lawyer who understands traumatic brain injuries. A lawyer with experience in representing people with head injuries will help you get the results that you deserve. In 2013, a woman who was a community fixture in a Maryland suburb of the District of Columbia suffered a head injury in a wreck. She was a long-time employee of the community’s school system. At the time she was injured, she co-owned a toy store in the center of town. Prior to the motor vehicle collision, she was in perfect health and had an excellent memory. She was responsible for maintaining her toy store’s inventory. Her former business partner told us that she had a computer-like recall of toys the store had in stock and what each toy cost. On the day of the injury, the woman was leaving the store’s parking lot. A traffic light controls the exit. The woman stopped at the traffic light and waited until it turned green. She looked to her left, her right and back to her left to be sure that traffic was stopped. When she was sure it was safe, she entered the intersection. A driver coming from her left in the left hand lane of traffic ran the red light and crashed into the driver’s side of the woman’s car. The airbags deployed. The woman was tossed from side to side hitting her head during the collision. She immediately developed a lump on her forehead and had cut on her head. She was dazed but did not lose consciousness. In addition to injuring her head, she suffered injuries to her left shoulder, upper and lower back, and the left leg from the knee down. At the emergency room, she denied she had lost consciousness. But, she could not remember anything between hearing a boom and realizing that someone was at her door asking her if she was all right. She has absolutely no recollection of the period of time right after the crash. In the days, weeks and months that followed the collision, she had headaches, dizziness, balance issues and memory loss. Simple things like finding her keys or remembering what toys were out of stock escaped her mind. Our client is a very tough person. She does not like or trust doctors. Other than some treatment that was designed to try to improve her balance problems, our client chose not to get much medical care and treatment. When she was still experiencing memory loss, headaches, balance problems and dizziness, we sent her to see a top-notch neurologist. That neurologist determined that our client had a brain injury. He recommended neurological care. Our client chose not to get this care because it would only provide temporary relief and she does not like going to doctors. The neurologist concluded that our client lost 15% of the function of her brain. Our client also was afraid to drive because she thought another irresponsible driver would ignore the traffic safety rules and hit her again. Our client was sure that she was going to be in another crash. Her driving anxiety is so bad that she never drives past the intersection where the collision happened. In order to help her overcome her fear we sent her to see a highly regarded psychiatrist. That doctor determined that our client suffered from depression and anxiety as a result the motor vehicle collision. He recommended psychological care. Our client chose not to get medical care because it would only provide temporary relief and she does not like going to doctors. The insurance company, as they always do, based its evaluation of the case on the medical care and its costs. Since our client did not like doctors and did not get much medical care, her medical expenses were not very high. In the weeks and months leading up to trial, the insurance company offered only $57,000 for the life-changing traumatic brain injuries that our client suffered. We decided that the case had to be presented to a jury. The case was tried for two days. The neurologist explained how the traumatic brain injury occurred and a friend, family member and former business partner all testified as to their observations of how the motor vehicle collision changed our client’s life. After learning about traumatic brain injuries in general and how our client’s life was changed, the jury returned a $500,000 verdict. The simple truth is that concussions and traumatic brain injury are serious, life-changing injuries. Traumatic brain injuries are common in car wrecks, fall or sports injuries. Traumatic brain injuries are hard to understand and treat. It is very hard to prove that a person has a traumatic brain injury. Insurance companies and their lawyers know how to get their clients off the hook if you suffer a traumatic brain injury in a car wreck, fall or sports injury. If you want the results you deserve, you should talk with a trial lawyer who has actually tried cases involving traumatic brain injury. CHASENBOSCOLO has more than twenty experienced trial lawyers waiting to help you, and we’re ready to help day or night. After a major injury while at work, the last thing you may be thinking about is getting back to work. Between medical care, household bills and pain from your injury, the idea of returning to life as normal may seem like a dream. Many of our clients come to us with no knowledge of the workers’ compensation system, which was originally meant to be a “user-friendly” system that an injured worker could navigate without the assistance of a lawyer. Many injured workers quickly find out it is anything but, and that’s when they come to us for help. The goal of any workers’ compensation attorney is to help their client navigate the system and to help them eventually return their life to normalcy. Why should I try to go back to work? For many people, returning to work after an injury can be scary idea. Will I get hurt again? Will I be able to do my job like I used to? Will my employer treat me differently? While the barriers, both physical and mental, of returning to work can be high, we have found that there is a great value in attempting (and hopefully succeeding in) returning to work. The first reason for this is a practical one: workers’ comp only pays you 2/3rd of your average weekly wage. In the world of workers’ comp, you will hear a lot about “AWW” and “Comp Rate.” Your comp rate is determined by taking 2/3rd of your average weekly wage. This is the amount that will be paid to you while you are temporarily and totally incapacitated from work. While this amount is tax free, it presents a financial burden to many clients, as it is typically less than most clients take home. Also, depending on your employer’s policies, you are often missing out on other benefits, such as contributions to retirement plans, health insurance and many other benefits. We understand the financial burden that a workplace injury can place on our clients. The second reason is more of an emotional one. For many, like all of us here at ChasenBoscolo, our workdays are not just a source of a paycheck. Work can be a calling, a mission, a way for us to help and care for others. Without the ability to contribute to the world, one’s self-worth can often suffer. Work can also be a place for social connections. Missing out on work for months at a time can be isolating. Returning to work allows injured workers to be around supportive co-workers and remain in touch with their workplace friends. What if my doctor says I can work, but puts restrictions on what I can do? One of the most crucial points in any workers’ comp case is when an injured worker has been cleared by their doctor to return to some sort of work. This is often called “light duty,” or returning to work with restrictions—a doctor can write a list of temporary or permanent restrictions outlining what physical restrictions an injured worker may have when they return to work. Under Virginia Code § 65.2-502, an injured employee who has been returned to work in some capacity is entitled to temporary partial disability benefits. When you return to work but are making less than you were pre-injury, either because your employer has found a new temporary job for you or because you are working fewer hours, your employer will be responsible for the temporary partial benefits. In order to prove eligibility for temporary partial disability benefits, an injured worker has to show that they have restrictions on what they can do at work and that they are earning less than they were at the time of their injury. There are also other responsibilities that the Virginia Workers’ Compensation Commission places upon an injured worker in this situation, and if you find yourself in this position, you should consult with an experienced workers’ compensation attorney to explain these. Sometimes, after a workplace injury, your employer could offer you work within your restrictions, often called selective employment. Here, the burden is on the employee to attempt to do the work offered within the treating doctor’s recommendations. Under Virginia Code § 65.2-510, if an employer offers an injured worker selective employment, that is, employment within the restrictions, and the employee refuses, they will not be entitled to wage loss benefits. This is another reason why, when given the chance to return to work, in this case for your prior employer, it is best to do so. An injured worker who has been cleared by their doctor to return to a partial work capacity and is making less money than they were pre-injury, either because of reduced hours or because their employer does not have a light duty position for them to return to, is obligated to “market” their remaining work capacity. What this means, in layman’s terms, is to look for another job. While the requirements of marketing that will satisfy the Virginia Workers’ Compensation Commission are best addressed in their own, separate blog post, the marketing requirement shows the importance that the Commission places on attempting to return to work. An entire cottage industry of vendors has developed to help insurance companies lower their costs and return injured workers to gainful employment sooner. One is a specific type of physical therapy called work hardening or work conditioning. The goal of either of these programs is to condition the body to return to a full day of work, prevent future injury and assist individuals in getting back to work. Oftentimes, these programs simulate the activities that an injured worker will perform at work and are meant to help the injured worker have an easier, as well as a faster, transition back to work. Injured workers should attempt to participate in these programs to the extent that they are in agreement with what their doctors are ordering. One of the most difficult conversations workers’ compensation attorneys have with their clients is about the things that workers’ comp cannot do for them. The list is large, but one of the toughest is the inability to hold your job. Workers’ compensation, unlike FMLA leave, does not mandate that your employer hold your job for you. This varies from employer to employer, but it is always best that employees keep open the lines of communication between themselves and their employer while they are out on medical leave. By returning to work quickly, or at least demonstrating to your employer a willingness to attempt to return, many injured workers increase their chances of their job being there once they are cleared to return to work. When an injured worker is under an “open award,” but they have been cleared by a doctor to return to “full duty” work, the employer will most likely file to terminate their benefits based on the worker’s ability to return to work. The test here is if the injured worker is able to return to their pre-injury job. When a Commissioner is examining the injured worker’s capabilities, they will look beyond the medical records. Meekins v. Legends Group/Heritage Golf Club, 77 O.W.C., holds that a bona fide attempt to return to work is better evidence than a medical opinion of the employee’s ability to do so. If an offer of selective employment is made to an injured worker within their restrictions, the burden is on the worker to show that they were justified in refusing the work. If an injured worker has actually tried to return to that work and experienced too much difficulty, the Commission will give great deference to that credible testimony. Another reason it is important to try to return to work is for the possibility of job and career advancement, including any pay raises. While you can receive wage loss benefits for up to 500 weeks in workers’ comp, the rate at which you will be paid is “locked” to when you get injured (with the exception of small cost of living increases). If you work in a field with regular pay raises annually, or different levels of compensation, your workers’ comp payments will not reflect that. By not working, you are missing the opportunity to grow in your career and make more money. An example of where the commission looked favorably on an injured worker who returned to work is the Starbucks Coffee Co. v. Shy case. Here, Ms. Shy was out of work, but returned for a brief period of 12 hours. Her employer attempted to terminate her benefits, but the Commission found that the employer did not meet their burden of demonstrating that the injured worker could return to her work duties. The burden is on the employer to demonstrate that the injured worker is capable of returning to work, and as this case shows, they cannot meet this burden by simply saying that the injured worker worked for a brief period of time. There have been times when the Commission has looked harshly upon injured workers who they believe could return to work and haven’t. This can have the effect of termination of benefits. In Webb v. Eastern Airlines, the court found an injured flight attendant did not properly attempt to return to work. Here, the company’s written policy was that an injured employee must be cleared by the company’s doctor. She did not have this clearance, but there was no evidence that she attempted to get this clearance: “there is no evidence that she attempted to return to work or comply with Eastern’s policy.” The Commission seems to be saying that the injured worker didn’t even try to get back to work, and because of this, her benefits were terminated. What if I don’t think I’m ready to go back to work? One of the most frequent questions that we get as workers’ compensation attorneys is from injured workers who do not feel either mentally or physically able to return to work, but who have been cleared by their treating doctor, to return. In order for your medical providers to return you to work, it is crucial that they understand the physical requirements of your job. It is not enough to tell your doctor your job title or that you lift things. Describe in as much detail as you can what your day-to-day job duties are, and how many times per day you are expected to perform them. A doctor may be returning you to work without a full understanding of the requirements of your job, and therefore, returning you too early or before you are able to perform your job tasks. It is also crucial that you communicate all your restrictions to your employer. 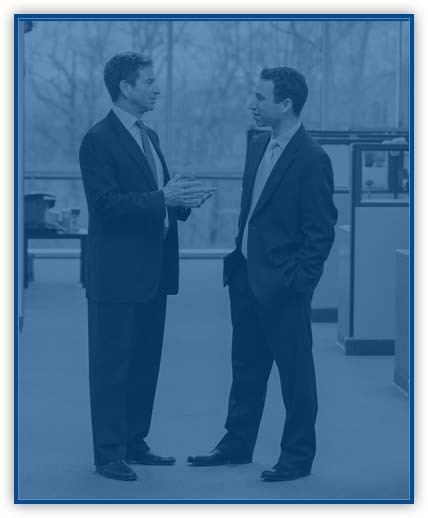 One of the best moments for any workers’ compensation attorney is when a client can successfully return to work. While we understand that this goal is not always achievable, we hope to be able to help as many people as possible get there successfully. What’s a Companion Case at ChasenBoscolo? One day you are at work driving for the local delivery company delivering packages. It’s rush hour, so traffic is heavy. You are at a red light waiting for the light to change, and out of nowhere, another truck slams into the back of your vehicle. Your neck jerks back and forth from the impact. You are experiencing pain in your back. Your right leg hurts from slamming on the brakes to avoid hitting another vehicle. What do you do? Who do you sue? Who’s going to cover your medical bills? What if you cannot return to work? Well, if you are injured while on the job and it is the fault of someone else who is NOT your employer or coworker, here’s what you can—and cannot—do. No, you cannot sue your employer. But, because your injury occurred during the course of your employment, you can file a workers’ compensation claim so that you can get the cost of your medical treatment covered and receive monetary benefits while you are unable to work. Workers’ compensation is a no-fault system, and as long as you can show that you were injured on the job, you can make a claim. Immediately, you need to report your injury to your employer. If possible, I would report it in writing and keep a copy for your personal records. Your employer should have you complete a claim form, and they should file your claim as soon as possible. This will begin the process for your workers’ compensation claim. But what about that person or entity who caused my injuries? Can I sue them? This particular scenario creates a unique situation where you could collect workers’ compensation benefits AND pursue a third-party claim for damages against the person or entity that is at fault (often referred to as a third party). If a third party is responsible for your injuries, i.e. they were negligent, you have a right to bring a third-party claim against them. This unique scenario is what we at ChasenBoscolo call a “companion case.” We call it a companion case because you have two different claims that arise from a single event. Although there are two different claims, let me explain how they go hand-in-hand and how we can help. You can receive Temporary Total Disability (TTD) benefits if you are unable to work at all as you recover from your injury over the short-term. You can receive Temporary Partial Disability (TPD) benefits if you are unable to return to your pre-injury employment but have found a new job that would accommodate your injury. You may receive a wage loss benefit that is equal to 2/3 the difference between what you earn at your current job that accommodates your injury versus what you earned at your old job. You can receive Permanent Total Disability (PTD) benefits if your injuries are so severe that they are deemed permanent after you have reached maximum medical improvement. This benefit will warrant you a lifetime wage replacement benefit. You can receive Permanent Partial Disability (PPD) benefits if your injuries are permanent but do not completely limit your ability to work. Last, there’s a fifth benefit, which is vocational training. You can be retrained to work in a new field if your injury prevents you from being able to return to work in your pre-injury field. This benefit can get you back to earning a meaningful wage. How does the third-party claim (aka a negligence claim) work? First, we have to be able to prove negligence. This requires having evidence to show four legally required elements at court. The first element that you have to prove is that the other person had a duty to you or to the general public to exercise reasonable care for others’ physical safety and the safety of their property at the time that you were hurt. For example, if we are driving a car on the roadway, we have a duty to other drivers and pedestrians on the roadway to follow the safety rules to prevent harm or death. Second, you have to show that the person’s choices breached the duty they owed to you by failing to conform to the required standard of care. For instance, a driver who chooses not to pay full attention to the road and causes a motor vehicle collision does not meet the standard of care. Third, you must be able to show that the person’s choices were the proximate cause of your injury. Proximate cause simply asks if the harm or injury that you suffered was foreseeable. For example, if a driver negligently drives his vehicle, it is foreseeable that he might cause a motor vehicle collision with another vehicle, hit a pedestrian or crash into a storefront? Property damage if you were using your own property (ex: driving your own vehicle). What kinds of work injuries create companion or third-party cases? Someone gets into a car crash while driving for work — If you are driving as part of your job and get into a car collision that is not your fault, you may be able to sue the other driver in addition to collecting your workers’ compensation benefits. Slips and falls and other injuries that happen on someone else’s property — If you are working on someone else’s property and you are injured due to a dangerous condition, you may be able to sue the building owner, property manager and/or cleaning company in addition to collecting your workers’ compensation benefits. 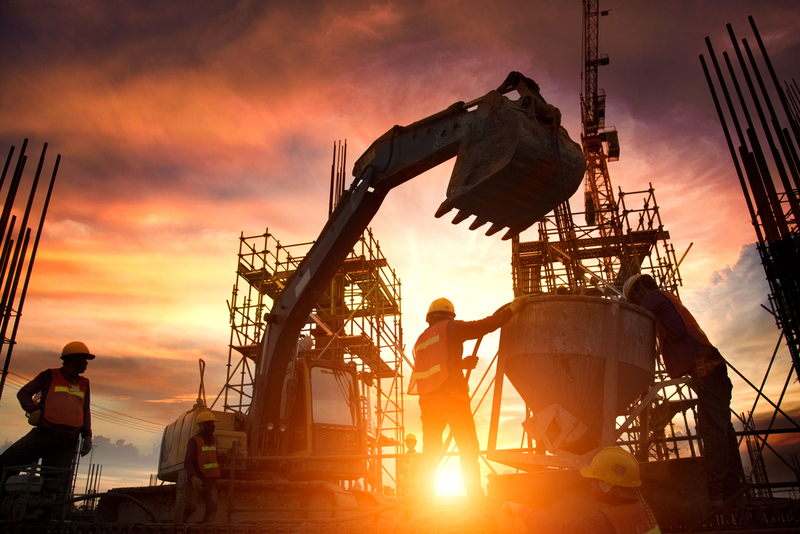 Injuries to subcontractors working on construction sites — If you’re injured on a construction site while working for a subcontractor, you may be able to bring a lawsuit against the general contractor in addition to collecting your workers’ compensation benefits. Defective products — If you are using a certain tool or device and it is defective due to faulty manufacturing, you may be able to sue the manufacturer in addition to collecting your workers’ compensation benefits. What else should I know about companion or third-party cases? No matter the category that your claim may fall under, it’s important to know what impact your third-party claim will have on your workers’ compensation claim and vice versa. Because ultimately that third-party is the cause of your injuries, they do not get to benefit from workers’ compensation paying for your medical treatment and partial reimbursement for lost wages. In fact, the workers’ compensation carrier (your employer’s insurance carrier) has a right to be reimbursed for benefits paid to you as a result of this negligent third-party. The workers’ compensation carrier may place a lien on your claim, which basically means they have to reimburse out of the proceeds of your third-party claim. This process whereby the insurance carrier claims a right to reimbursement from the third party, who is also responsible for the loss, is known as subrogation. Having a workers’ compensation claim and a personal injury claim going on at the same time can be overwhelming and time-consuming. Therefore, it is very important to have an experienced attorney handle your companion case. There are many traps and pitfalls that an attorney who is not well versed would not be able to avoid. Having an experienced attorney can also be effective in making sure you recover for all your damages and help you maximize your possible recovery. An experienced and knowledgeable attorney, like those at ChasenBoscolo, can help by negotiating with your employer’s insurance carrier and the third-party’s insurance carrier to maximize your recovery and make sure you are fully compensated on both claims. I was just injured on the job in Virginia. What should I be doing right now? If you have just been injured on or in connection with your job, the following can be used as a guide for your next steps. These steps are designed to make sure you avoid common mistakes that can hurt your chances of being properly treated and compensated. While the internet can be a great resource, this information is being provided as generally applicable advice. Every case is different, and this guide is not a substitute for a competent, experienced lawyer. Please keep in mind that you can reach out to an attorney’s office, such as mine, for a free consultation if you’ve been hurt on the job. As soon as you reasonably can, contact your supervisor and let them know that you have been hurt. If you were rushed to the hospital right after the injury, you should try to contact your employer and report the injury as soon as you are able. If the insurance company denies your claim, you may have to prove to a judge, in court, that you were injured on the job. If you cannot prove you were injured, you may receive no compensation in connection with your injury. One of the best places to start is by building a paper trail. So, tell your supervisor you have been injured. Call them if you cannot speak directly with them. Whether you do or do not speak directly with your supervisor, try to send an email to your supervisor or HR explaining that you were injured, and keep a copy of that email for your own records. If you can, take pictures of where you were injured, and take down the names of people who witnessed the injury. Try to see if there is a surveillance camera that captured the injury on camera. Once you have notified your employer that you’ve been injured, they will generally try to fill out an incident report with you and ask that you sign it. It can be ok to sign, as long as you carefully read it over and confirm that the information is correct. Do not give in to pressure to sign something that is inaccurate. If you feel that something is incorrect, you can write corrections directly on the document before signing it. If your boss tries to persuade you to not file an incident report or claim, this is an immediate red flag that indicates you may not be treated fairly. Most importantly, tell the truth about what has happened. If the insurance company plans on denying your claim, one of their easiest defenses is to make you look like a liar. Your best defense against this is to always tell the truth, and to be clear about what details you do know, don’t know or don’t remember. Once you’ve notified your supervisor about the injury, your next step should be to get treatment for your injuries as soon as you can. If you go to your primary care physician 3 months after the injury, you may be forgetting important details about the injury, including when you were injured and how it happened. Delaying your care hurts your recovery, and it hurts your case. When you are being examined by a doctor for the first time, tell them what happened. Explain to them how you were hurt. Make sure they are aware that you suffered an injury at work, as they should be explaining that in their report. How you were hurt will also give the doctor a better understanding of your current condition, so that they can provide proper medical care. Next, make sure the doctor (and every following doctor or therapist that you see) is aware of every problem you are experiencing and have experienced since your workplace injury. Doctors are not perfect. The doctors cannot treat issues that they do not know about. 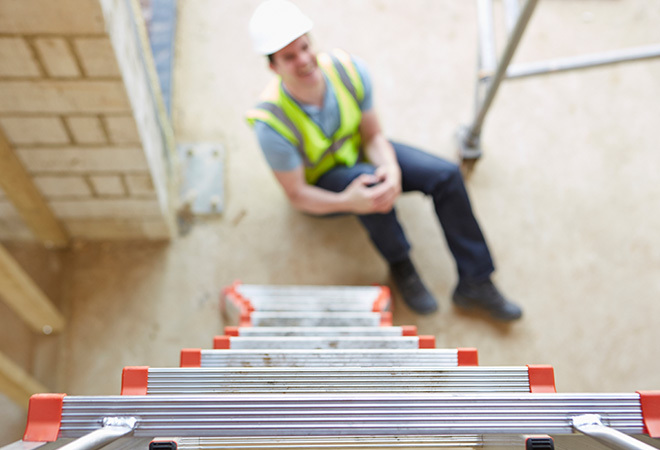 If you have fallen from a ladder and broken both of your wrists, the doctor should be able to see the breaks and focus a lot of your treatment on those injuries. However, what if you’re feeling numbness in your fingertips, having nightmares, hearing ringing in your ears or having trouble controlling your bladder? You need to let the doctor know about these issues. Issues that you think may seem too insignificant to talk to the doctor about may in fact be because of something more serious than you realize. Do not be shy. Sensitive or personal health issues which you may feel embarrassed or ashamed to talk about with the doctor need to be discussed. If you’re uncomfortable bringing it up with your current doctor or nurse, you can ask for somebody else to discuss it with—maybe somebody of the same gender. No matter what has happened to you, medical professionals have likely already seen issues like yours before through training and/or experience. Your injury is not the result of a personal failing, and you will not be judged for it. All of the horrible things that can result from workplace trauma can happen to anybody. Whatever you may experience is a problem which needs to be fixed, but it can only be fixed if the doctor knows about it. Your medical records are evidence for your case. If your records are missing complaints about certain injuries or don’t describe how or if an injury has occurred, you can find yourself having a hard time receiving benefits from your workers’ compensation case. In most instances, your employer has an insurance company that provides them insurance for workers’ compensation cases. If your employer does not have insurance, they may be “self-insured” and have the money themselves, or they may be covered by the Uninsured Employer’s Fund of Virginia. In every case, you must keep in mind that the insurance company is a profit-driven business which is looking to spend the minimum amount of money possible. In many cases, the cheapest thing to do is to provide the injured worker with medical care in order to help the injured worker recover and get back to work without needing more extensive treatment or pay for time off from work. However, when the injury is more serious, the injured worker may find that the insurance company is actively trying to cut costs, and the most effective cost cutting measure is to try and deny any responsibility for your injuries. If you are contacted by the insurance company and asked if they have permission to take a “recorded statement,” you do not need to comply with that request. A recorded statement is when someone from the insurance company interviews you about the injury and records your statement. A recorded statement provides the insurance company with extra details and information which can (and oftentimes will) later be used against you. You are never required to give a recorded statement. After you are injured, the insurance company must decide whether they will accept responsibility for your injury. If they have decided to accept responsibility, you should be offered a choice of at least three different doctors who can provide treatment for your injuries. This is referred to as a “panel” of doctors in Virginia. You should choose one of these doctors. After you have made your choice, this doctor and their referrals will be the responsibility of the insurance company. If you try to get your own treatment outside of this doctor, you should expect to have to pay for those costs yourself. Every time you see a doctor after a workers’ compensation injury, you should never leave the appointment without the doctor writing down what your medical restrictions are. Your doctor will either (1) restrict you totally from doing any sort of work, (2) restrict you from certain activities but clear you for light duty or (3) release you to return to work full duty, without restrictions. If your doctor has restricted you to light duty (meaning you can do some work, but not all of your normal work duties), it is very important that the doctor give you clear instructions about the sorts of activities you can reasonably do at work while allowing you to recover, and without putting you at greater risk of further injury. Some examples of light duty restrictions include limits on how much weight can be lifted, as well limits on bending, kneeling, climbing, sitting or standing. If your doctor has released you back to doing light duty or full duty work, you should let your employer know about this as soon as possible in order to see if they can provide you with work. If your doctor has released you back to full duty work, you only need to ask to return to doing the job you were doing before the injury occurred. If you were released to light duty, you need to show the doctor’s restrictions to your employer and ask them if they can accommodate those restrictions in the workplace. If your doctor finds that you are totally disabled from work (meaning you can’t work at all—also known as temporary total disability), you should be eligible to receive workers’ compensation payments for time that you are out of work. You should let your employer know that your doctor has determined you’re totally disabled from working for the time being. Once you have been properly released to return to your preinjury work, your only chance at being paid is by returning to work and getting paid the way you were paid before the injury. However, if you have been released by your doctor to return to light or full duty work, you need to let your employer know you are eligible to return to work (with restrictions if you’re on light duty), in order to ensure you can get paid. If your doctor has released you back to work to light duty but you do not tell your employer, you may not be eligible for workers’ compensation benefits for time off of work. If your employer says they can accept you back to work with your current restrictions, you should make sure that they are honoring those restrictions. If your doctor, for example, tells you to not do any overhead lifting at all, yet your employer asks you to stock the top shelves, you should remind your employer that your doctor has forbidden you from doing that activity. You are allowed to refuse to do activities which your doctor has advised you to not do. If you’re being asked to do something your doctor said not to do, or you are doing something you feel you cannot do, you need to notify your doctor right away. The goal of medical treatment in a workers’ compensation case is to let you recover and heal from your injuries, be released from the doctor’s care and to return to your normal life feeling healthy and able to work. However, until your doctor or therapist says you are released from care and don’t need to come back to see them anymore, you should return to them for continued treatment. At the end of your appointments, your doctor should tell you how soon they want to see you again, and you should make sure to schedule your next appointment for that time. With proper care, your condition should improve; however, there is always the possibility that your condition can get worse. The doctor needs to know about new problems which were either not there right after the original injury, or which came about afterwards as a result of the injury. If you start feeling new problems, you need to make the doctor aware of them so they can determine if those issues are related to your injury and treat them. Continued visits to your doctor should also keep you updated about your current work status. If you are still on light duty or temporarily totally disabled (TTD) status, but do not visit your doctor for a disability slip, it can be hard to prove you are entitled to payments for periods that you are not being seen by a doctor. Finally, you have the right to ask your doctor for referrals to different medical specialists if they are needed. If you are referred by your doctor to another specialist or treatment provider, it’s important you try to get an appointment with them as soon as possible. Step Seven: Should you hire an attorney? When you’re unable to get what you want, and you cannot figure out the solution yourself, it’s okay to ask for help. If you find you’re not getting what you want or need, or you feel like you’re not being treated fairly by your employer or their insurance company, you should consult with a lawyer. Even if you feel that your employer and insurance company seem to be treating you well, you can still talk to a lawyer. Talking to a lawyer can cost you nothing beyond time, as many lawyers give free consultations. There are often benefits available to you which you are not even aware of. If your case has been denied by the insurance company, you should definitely speak with a lawyer. This is also true if you are not being paid for time missed from work or when the insurance company is refusing to pay for or authorize medical treatment that’s been recommended by your treating doctor. If you decide to hire an attorney in Virginia, keep in mind that you are generally only paying the attorney a percentage out of what they have recovered for you. If your attorney gets nothing for you, they do not get paid in Virginia. Every attorney’s fee must be determined and endorsed by a judge. Claims for Virginia workers’ compensation benefits generally must be filed within a maximum of two years of the date you were injured. In most instances, failing to file a claim within two years can prevent you from receiving any benefits. If you do not hire an attorney, you should still file a claim for benefits with the Virginia Workers’ Compensation Commission. The following link includes the form, as well as instructions: http://www.vwc.state.va.us/content/claim-benefits-form. Hopefully, this has helped explain what your rights are if you’re injured on the job in Virginia. Remember, every case is different, and this guide is not a substitute for a competent, experienced lawyer. If you’ve been injured at work and have additional questions about your rights, you should reach out to a competent, experienced workers’ compensation attorney. For information on workers’ compensation claims in D.C., check out my colleague David Kapson’s blog post on that topic. For information on how workers’ compensation claims work in Maryland and D.C. when you have more than one job, my colleague David Snyder has an excellent blog post you may find helpful. For information on why the workers’ compensation system is important and protects the rights of everyday, hard-working Americans, my colleague Krista DeSmyter lays out the case in a recent post that I also strongly recommend. Duels Over Dual Employment: What happens when I am injured at work, but I have two jobs? As recently as 2016, over 7.5 million Americans held multiple jobs in order to make ends meet. An on-the-job injury can cause a huge disruption to a person’s life, but an on-the-job injury for a person working for multiple employers can be particularly devastating. When you are injured on the job, there are certain benefits that your employer’s workers’ compensation insurance company must provide to you under the laws of either Maryland, the District of Columbia or Virginia. Despite the fact that each jurisdiction has its own wrinkles through the laws, these benefits are largely the same. As a brief aside, I hesitate to use the word “benefits,” because that makes it sound like you are gaining something by getting money from the insurance company when you are injured. In fact, what these payments ensure is that you are not losing your livelihood, your ability to put food on your table or your ability to keep a roof over your head. Because the laws of each jurisdiction refer to this money as “benefits,” however, I will use it here. What are wage replacement benefits? In my years of handling workers’ compensation cases, I can tell you that one of the most important types of benefits, aside from medical care and treatment designed to get you better and back to work, are the wage replacement benefits you are entitled to receive while you recover from your injuries and are unable to work. These are known as temporary total disability benefits. When an injury at work causes you to not be able to work and you lose your regular stream of income, it can have a devastating effect on both your life as well as the lives of your family members for whom you must also provide. Because of this, making sure that my clients are receiving their full temporary total disability benefits in a timely fashion is always my number one priority when I am first hired by a new client. I have had the great fortune to develop some tools for making sure that this happens sooner rather than later so that my clients’ lives are disrupted as little as possible by their work injuries. Insurance companies, however, are not always willing to pay these benefits in full or on time, which means that we sometimes must go to court to fight for our clients’ rights to their benefits. But what if I’m working 2 jobs? A fight over temporary total disability benefits for one of my clients recently gave me the opportunity to change the law for the better not just for that particular client, but also for all injured workers in the District of Columbia. For a little more background, in the District of Columbia, injured workers are entitled to “stack” their wages for purposes of the calculation of workers’ compensation benefits. This means that injured workers who are working at two or more jobs at the time of their injuries are entitled to be paid based upon lost wages from both jobs. Unfortunately, this is a key area of the law where Maryland and Virginia are lacking. In Maryland, injured workers cannot stack their wages at all. So, if you are injured while working at your part-time job and miss time from a much more lucrative full-time job, the state of Maryland has determined that you are out of luck and just have to deal with the very limited income replacement benefits. See why I hate to use the word “benefits”? In Virginia, injured workers can only stack their wages if their second job is similar to the job at which they are injured, but not otherwise. Again, this is hardly a “benefit” to someone who works two different types of jobs to provide for themselves or their family. Back to our story. My client in this particular case was working two jobs at the time she was injured. She was working in the District of Columbia for the employer where she injured her shoulder, and she also had a part-time job working for a different employer. When she was originally injured, her employer was still able to provide her with modified work so that she could continue earning an income. Her part-time employer, however, could not provide work within the physical restrictions that her doctor imposed on her. Actually, her doctor restricted her from working at her part-time job because he was concerned that she would overexert her injured shoulder. As such, her employer correctly began to pay her wage loss benefits based upon the partial loss in her total stacked wages that she sustained. However, at a certain point in time, my client then injured her other shoulder and the originally injured shoulder got worse while she was in physical therapy. At that point in time, her employer was no longer able to provide modified work for her. When that happened, her employer should have begun paying her full temporary total disability benefits based upon the wages she was now losing from both of her jobs. The insurance company disagreed, and we had to go to a hearing. We won that hearing and the employer was ordered to pay my client based upon her lost wages from both jobs. The employer was not satisfied and appealed to the Compensation Review Board (the highest level of appellate review within the D.C. Department of Employment Services). The Compensation Review Board agreed with the administrative law judge and we won again. The employer was still not satisfied and appealed one last time to the District of Columbia Court of Appeals. The District of Columbia Court of Appeals is the highest court in the District of Columbia and therefore, what the Court says is final. In July of this year, the Court of Appeals issued a decision that would affect all injured workers in the District of Columbia for the better. First of all, we won, which was awesome for my client (and, of course, was the right decision in my opinion). The Court noted that the issue in our case was one of first impression; somehow the Court had never had the opportunity to rule on this issue. That, in and of itself, is pretty exciting to me because it’s an opportunity for me to affect a great change in the law to the benefit of many people, both now and in the future. If an injured worker works more than 1 job and can’t work at their second job because of a work injury from their first job, they are entitled to compensation for those lost wages from the second job, too. In response to the employer’s argument that the Court would somehow create confusion and a conflict of legal principles if we prevailed, the Court of Appeals stated, “A legal paradox is not created by this decision. It is permissible to have two separate awards attributable to one injury because there are two separate jobs—and earnings—being affected by one injury. One injury can impact a person’s concurrent earnings differently because of differing job responsibilities—the examples are infinite.” Basically, the Court implicitly recognized that people do work different jobs that can both be impacted by a work injury, but also that people who are working two different jobs may have vastly differing job responsibilities at each job. As noted above, I think this is the most logical approach of the three local jurisdictions. Virginia and Maryland simply are not grounded in the realities of modern employment and are doing their citizens who sustain work injuries a massive disservice by failing to require that they be compensated for lost wages at both jobs. Employers have to show that alternate jobs don’t just actually exist, but that the injured worker could actually likely get that job. The Court also delved a bit more into the evidentiary burdens of both injured workers and their employers at hearings. The Court reviewed more well-settled case laws that allowed an employer to escape liability for payment of temporary total disability benefits if a job might be available within an injured worker’s physical restrictions from his or her doctor. The Court, however, went one step further in this case and stated that an employer “must establish job availability in fact,” meaning that the employer “must prove that there are jobs reasonably available in the community for which the intervenor is able to compete and which she could realistically and likely secure.” Essentially, the Court prohibited what used to be the normal practice of employers/insurers and their defense attorneys coming into court and stating that a job would be available without providing any more evidence than that mere statement. Defense doctors who work for insurance companies can’t be the only evidence used to show that an injured worker could work. Similarly, the Court prohibited employers from relying solely upon an opinion from a doctor selected and paid by the employer and insurance company to render an opinion about an injured worker’s ability to work. The Court noted that, logically, all a doctor’s opinion may (or may not) do is establish that an injured worker could work in some way, but it does not establish that a job is actually available. That makes sense to me because, unless the injured worker worked in that doctor’s office (and we would then be discussing conflicts of interest), how could the doctor ever know the business dealings and job availabilities at the employer’s place of business? Inexplicably, judges had previously allowed the defense attorneys to get away with this. Fortunately, the Court of Appeals saw through that charade in this case and clarified the law, making life much better for injured workers. My colleagues and I have already been able to apply this new requirement to the benefit of our clients in hearings. Just because an injured worker suffers a second new injury doesn’t mean the employer is off the hook for paying wage replacement benefits. Finally, the Court found that my client’s subsequent injury to her other shoulder did not affect her rights to ongoing temporary total disability benefits. The Court focused on the definition of “disability,” which means an injury that causes a loss of wages. Although she had a new injury, her disability (i.e. her inability to work in a full-duty capacity) was unaffected by the second injury. This was specifically stated by her doctor, who indicated that her physical restrictions were still in place and unchanged by the new injury to the other shoulder. This was an important new development in the law because previously employers and insurers would rely upon the mere happening of a new injury to terminate any and all present and future benefits for our injured clients, again putting them into a predicament. Even more astounding, in the same week that the D.C. Court of Appeals decided in this case that a subsequent injury did not necessarily impact an injured worker’s rights to ongoing wage loss benefits, the Court of Appeals of Maryland (which is the highest court in the state, just like the D.C. Court of Appeals) issued an opinion in another case of ours dealing with a similar issue. In that case, my colleague’s client had sustained a very serious injury to his back that caused him to have a permanent disability. Years later, he was involved in a minor altercation that, for a brief period of time, made his back hurt more. The employer and insurance company jumped all over that new incident to deny our client’s benefits. After a long and drawn out fight at the Maryland Workers’ Compensation Commission, the Circuit Court for Anne Arundel County, the Court of Special Appeals of Maryland, and ultimately the Court of Appeals of Maryland, found that our client’s subsequent minor injury had no impact on his disability as a result of his work-related injury. All of the points of law held or clarified by the D.C. Court of Appeals and Court of Appeals of Maryland in these two cases represent important victories for the rights of injured workers. As a lawyer, I am incredibly proud of the work we do here at ChasenBoscolo to protect not just our clients, but also all injured workers, whether it be through litigating their cases in front of commissioners, administrative law judges or juries, or through our appellate advocacy to change the law for the better. Work Injuries: How Did I Get Here? Hello, my name is David Kapson, and I am an effective and experienced personal injury attorney with a proven track record of securing medical treatment and money benefits for injured workers in the DC metro area. The purpose of this blog is to provide a resource for folks who may find themselves struggling with confusing questions and difficult decisions following a life-changing accident at work. But before we get to that, let’s start with two things I love: pop culture and stories. But first, let me tell you a little about how I got here. In 1980, while the Talking Heads were taking the New York City music scene by storm, my parents were getting married in a little town outside a little place called Wilkes-Barre, Pennsylvania. This is the coal region of Pennsylvania—a blue-collar area in the Northeast where, for the most part, people made a living with their hands or their backs. Most adults I grew up around had a high school diploma, worked a trade, worked in construction and carpentry or worked in the hotel and restaurant setting. My grandfather on my mother’s side was a coal miner, starting out in underground mine shafts, and later above ground on strip mines. My mother’s brother also worked in the strip mines, and later as a carpenter where a work injury lead to his permanent and total disability. My aunt was a nurse. My grandfather on my father’s side worked for the phone company, mostly 15-20 feet above ground hanging cables on telephone poles. But I grew up running around behind the scenes of a hotel in Wilkes-Barre where both of my parents worked. In fact, it’s also where they met, but that’s another story. My father started as a member of the banquet set-up team at the hotel. This was a physical job that required him and his co-workers to set up and break down hundreds of dining tables, chairs, and equipment in the hotel’s four large ballrooms for events like weddings, bar mitzvahs, awards dinners, meetings, etc. Eventually, after working at the hotel through college, he was able to rise through the ranks to a management position and helped to manage the hotel’s inventory supply. My mother was a banquet waitress from the time before I was born through the time I was about half way done with high school. She was then promoted to the banquet manager and began to lead a team of banquet servers and set-up workers. Today, she continues to lead the hotel’s entire banquet and catering division and is the area’s go-to person for all your wedding planning needs (plug, plug, Mom!). My dad worked days and my mom worked nights, so most of my afternoons were spent at the hotel waiting for my dad’s shift to end and my mom’s to begin. My mom would drive me there, and my dad would take me home with him from work. I didn’t know it at the time, but my path towards helping people with work injury claims started to form when I was just a kid running around that hotel. I saw behind the scenes. I saw how physically demanding a customer service job in the hotel and restaurant industry can be. I understood the risks of how dangerous a slippery floor can be, or how a tiny mistake with a very sharp knife can change a person’s life and livelihood, or how lifting a heavy box could take a person out of work for months or even years. Later, during high school and college, I started working at the hotel for my mom as a banquet server, and eventually as a bartender. Not only did I learn where to set the salad fork and where the bread plate goes while properly setting a table (skills I still use today to impress my wife), but I also lifted thousands of heavy trays stacked with dishes, silverware, glasses, etc. I spent many long hours and shifts on my feet and scrambling to keep the customers happy. Even as an eighteen-year-old, it was physically demanding hard work. Many of the people I worked with, especially the waitresses at that time who were in the 40s, 50s and even 60s, had made a career and supported families from the same type of work. Without my knowing, all of this experience shaped who I would become. Later, I would realize that not only did it shape me, but it shaped WHO I wanted to help in this world: honest, hardworking people who suffer a life-changing injury on the job. My parents’ hard work gave me the opportunity to go to college and eventually law school. I sometimes tell people that I stumbled upon workers’ compensation as the area of law that I practice the most, but when I reflect, it really feels like it was my destiny all along. Now, after seven years in practice, I cannot imagine being an attorney without devoting my career to the purpose of protecting the rights of injured workers and putting their interests first. Attempt to return to work when medically cleared to do so. Let’s look at each of these individually. Sometimes, the best legal advice is the most obvious. There is a stigma in society attached to work injuries and the people who suffer them: “liars, fakers, milking the system, etc.” We have all heard it. It’s out there in the world. However, this advice is not meant for someone trying to game the system or defraud their employer by faking a work injury. It’s for the honest, hardworking person who suffers a work injury that has the potential to be life-changing. For those people—the people I want to help—one of the most important and easiest things to do from the very beginning is to tell the truth about what happened and be honest about all of the injuries suffered as a result of the work accident. Telling the truth about what happened is important because the employer must be notified if they are going to take responsibility through the workers’ compensation system for an injured worker. In most states and jurisdictions, there is a time limit for the injured worker to report the injury to their employer in order to qualify for all of the rights and benefits associated with a workers’ compensation claim. Do not waste time. Tell the truth about what happened when notifying your employer. Even if the injury happened because it was your fault, you are not prohibited from bringing a workers’ compensation claim. It’s a no-fault system, so be honest and report truthfully. Telling the truth should not stop after the reporting of an injury. It should continue through to all medical providers the injured worker sees for treatment following a work injury. I always tell new clients that telling the truth in this setting really has two sides. First, and most obviously, telling the truth means not lying or making up something that isn’t true. That’s the easy part: don’t lie. The second side is a little less obvious at first, but often makes the biggest difference in the end: do not hold anything back. This means paying attention to your body and telling the doctor about all of the symptoms and complaints in every part of the body injured either as a direct result or as a consequence of the work accident. Telling the doctor all of your symptoms and complaints means telling every doctor you see, whether your treating doctor, or the doctor the insurance company sends you to for an evaluation, all of the symptoms and complaints and when you experience them. For example, a person with a lower back injury may experience more pain when they have to bend, twist, stoop or when lifting. They may also experience shooting or radiating symptoms down into one or both legs when moving a certain way or performing a certain action. You may not feel this while sitting on the exam table at the moment the doctor asks, “How do you feel?” but that should not stop an injured worker from telling the doctor everything. The doctor cannot read your mind and you may not put yourself in the best position for a full recovery if you hold back when explaining to the doctor where it hurts. The next simple pointer is to do what the doctor says, so you can try and get better! Another stigma or myth about a workers’ compensation claim is that it leads to a lucrative settlement or monetary award. The truth for the vast majority of people injured on the job is that the workers’ compensation system is not a solution for the rest of their lives. In fact, the longer you stay in the workers’ compensation system, the greater the chances of a poor outcome with your claim. One way to shrink the amount of time you spend in the workers’ compensation system is to be committed to the treatment protocol outlined by your physician. That means making it to all your appointments, having honest and open dialogue with your doctor, following your doctor’s orders (i.e., physical therapy, medication, diagnostic tests like MRIs, CT-scans, etc.) and collecting the necessary paperwork and referrals from the doctor’s office to prove the insurance company a means to approve the recommended treatment. The goal here is to do as much as you can to get better and back to being yourself again. It’s not fun to be injured, so do yourself a favor and get as much treatment as you possibly can to get better! Finally, when the doctor releases you to return back to work in some capacity, make an attempt to go back to work. This is easy for injured people who make a full recovery: you get released and return to your regular, full-duty employment. For folks who are gradually released back to work with restrictions or who are facing a future of returning to the job market with permanent restrictions, the path can take some twists and turns. If you are released with some type of restriction, it is usually in your best interest to share that information with your employer and ask them whether they have work to do within those restrictions. It’s important to ask, even if you know or think you know the answer is that they don’t have work within those restrictions. In some cases, employers will offer work within the restrictions provided by the doctor, in which case I always advise my clients to give it a shot! You never know if you can actually do something unless you try, right? It may be work you can do, and in time you progress back to regular full-duty job. Or, the work might be too physically demanding, at which point your best bet is to return to the doctor to see about having the restrictions modified based on where you are in the recovery process. Generally, if your employer does not have work within your restrictions and advises you accordingly, you may still be entitled to claim workers’ compensation benefits even though you are not fully back to work. The bottom line is that the world of workers’ compensation can be difficult, confusing, and even bizarre. Hopefully this blog post shed some light on what to do to protect your rights if you are injured at work. Even if you follow these guidelines, you may still come to a point where you ask yourself, “How did I get here?” If that is the case, the best advice I can give you is to consult with an attorney who specializes in successfully handling workers’ compensation cases. I suggest to you that the measure of any attorney’s professionalism in this area is whether they are more worried about your success than you are. That is the standard I try every day to live up to for my clients, and that is the level of professionalism any potential new client should be looking for. Make no mistake—an injured worker is always better off with a knowledgeable and experienced attorney than attempting to go it alone against massive corporate insurance companies. I would also encourage anyone searching for a workers’ compensation attorney to place a premium on choosing a lawyer who will protect the rights of the injured worker and put their interests first.